After so many years, fake “Coca Cola” lottery awards are still flowing round the web, the scammers never seem to run out of story lines for “Coca Cola” award. Ok, before you start to ask stupid questions whether this is a real or fake award, we confirmed that such rewards are all FAKE. 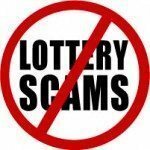 These are ALL 419-type lottery scam. Sorry we just busted your “I GOT RICH FOR NOTHING” dream. COCA COLA COMPANY OFFICIAL PROMOTION PRIZE AWARD (USD$900,000.00) CONGRATIONS YOU MAIL WON!!!!! THE COCA COLA COMPANY PROMOTION. However the results were released on the (10 TH NOVEMBER 2009) been yesterday and your email was attached to ticket number (4FKAW2009) and ballot number (BT28142009/22) The online draws was conducted by a random selection of email addresses from an exclusive list of 29,031 E-mail addresses of individuals and corporate bodies picked by an advanced automated random computer search from the internet. However, no tickets were sold but all email addresses were assigned to different ticket numbers for representation and privacy. 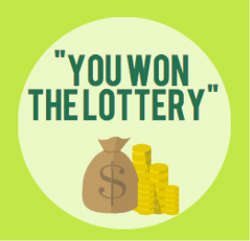 In other to claim your USD$900,000(Nine Hundred Thousand US Dollars Only) prize winning, this has been issued cheque in your name. We will be honest to serve you, you are advice to contact the fiduciary agent via e-mail to file for your money and direct you to the authorized paying bank there in Malaysia Kuala Lumpur. You are also advice to claim your prize money within the 14 working days so that there will be no miss conjunctions of claims. To avoid unnecessary delays and complications, kindly send the following information to the agent. YOUR PASSPORT OR ID FOR IDENTIFICATION:……………………………………. Do not tell people about your Prize Award until your money is successfully handed over to you to avoid disqualification that may arise from double claim. You may also receive similar e-mails from people portraying to be other Organizations or Yahoo Inc. 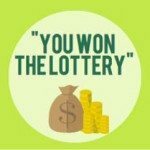 This is solely to collect your personal information from you and lay claim over your winning. In event that you receive any e-mail similar to the notification letter that was sent to you, Kindly delete it from your mail box and give no further correspondence to such person or body. the just concluded final draws by Global International Inc., in conjunction with the COCA-COLA Online Sweepstakes Promo. In other to file for your winning prize, you are required to reconfirm your winner’s particulars as accompanied above and send it immediately via e-mail to our Promotion Office for the immediate release. NOTE: All winnings must be claimed within 14 days from today. After this date,all unclaimed funds would be included in the next stake. Members of the affiliate agencies are automatically not allowed to participate in this program.